Academics and policy wonks said this week they were encouraged by the creation of Gov. Bruce Rauner’s Commission on Criminal Justice and Sentencing Reform, but called on the governor to bolster its credibility and efficiency by including formerly incarcerated people among its appointees. 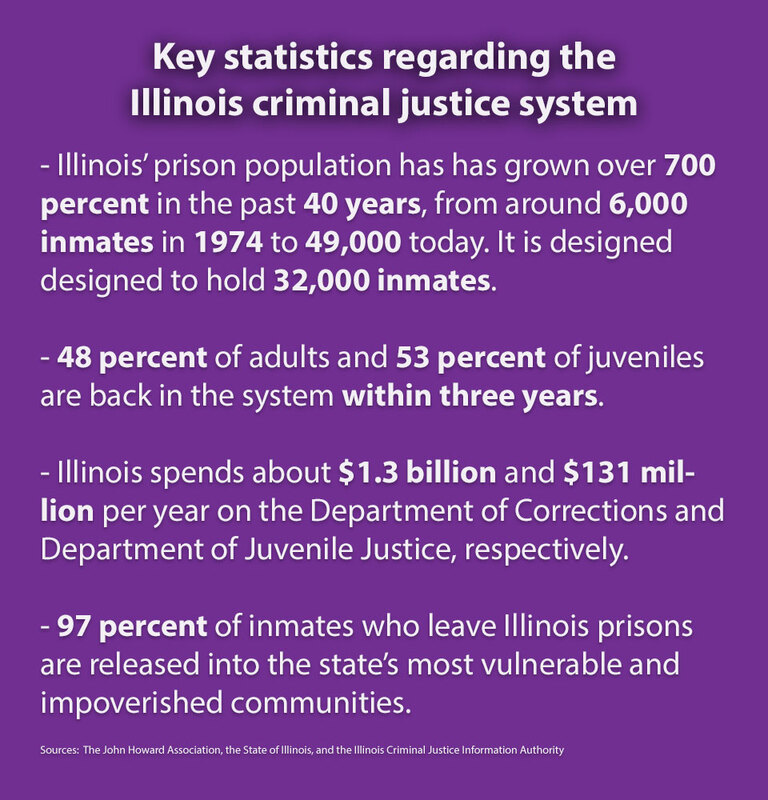 The commission, which Rauner created by executive order last week, has a mandate to examine ways to reduce the state’s prison population by 25 percent in the next 10 years through a largely holistic approach that considers a range of issues in the criminal justice system. To fully understand those issues, experts said, the commission needs to hear from those who know them best. “If we want to understand how to help people not go back into the system, not be re-arrested, to me there’s nobody that knows better about what that experience is like than those who have been through it themselves,” said Matthew Epperson, a professor who specializes in criminal justice reforms at the University of Chicago’s School of Social Service Administration. Amos Irwin, policy director at the Washington D.C.-based Criminal Justice Policy Foundation, agreed. Rauner has yet to formally announce any appointments to the commission, though his mandate calls for input from victims’ rights advocates, judges and state lawmakers. The Chicago Tribune reported on Feb. 11 that Democratic state Sen. Kwame Raoul, who has campaigned on criminal justice reform, had been appointed. A spokeswoman for Rauner declined to say this week whether the governor was considering appointing any formerly incarcerated individuals or representatives from organizations they serve. “The administration is aggressively working to find the right experts from a wide variety of fields who will develop recommendations that reduce the prison population while improving public safety,” said spokeswoman Catherine Kelly in an e-mailed statement. 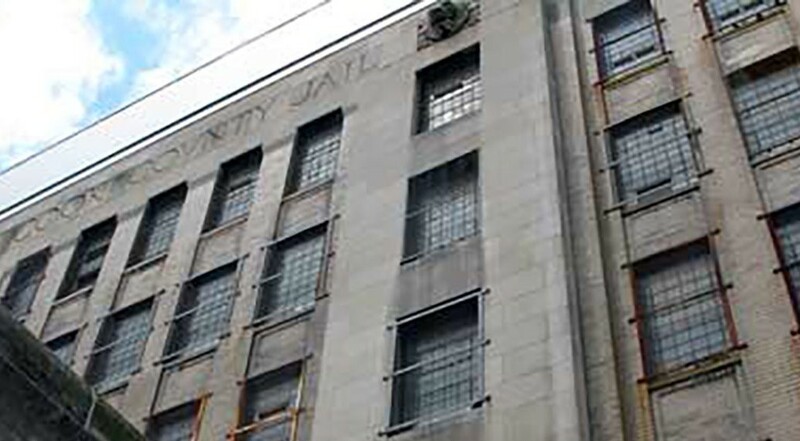 Mike Holman, a leader of the Chicago chapter of the Stop Mass Incarceration Network, a group that protests against overcrowded prisons and Illinois’ use of solitary confinement, echoed Epperson and Irwin but said he didn’t think the chances of the Rauner administration agreeing with them were high. But while other states have enacted reforms through legislation and voter referenda, Rauner’s commission is the first of its kind anywhere in the country. Irwin praised the governor for being a politician “willing to stick his neck out” on an issue that often results in soft-on-crime criticism. Laura Brookes, the director of policy for the Chicago-based organization Treatment Alternatives for Safe Communities, said she was “thrilled” with Rauner’s order, mainly due to its focus on treatment-based alternatives to incarceration. But failing to include the voices of those affected by the system, in addition to those who oversee it, would be a mistake, Epperson said. Rauner’s executive order tasks the commission with examining a wide range of issues typically cited as causing upticks in incarceration levels and prison spending, including strict sentencing laws commonly known as mandatory minimums. Rauner also ordered the commission to probe the under-use of opportunities to funnel inmates to treatment facilities or community organizations that function as alternatives to incarceration for nonviolent offenders. In Illinois, the prison population has has grown over 700 percent in the past 40 years, according to a report by the John Howard Association, a Chicago non-partisan criminal justice reform group. According to the executive order, the state spends about $1.3 billion and $131 million per year on the Department of Corrections and Department of Juvenile Justice, respectively. Forty-eight percent of adults and 53 percent of juveniles are back in the system within three years. Reform advocates were supportive of the comprehensive nature of Rauner’s mandate, arguing that the system can’t be reformed by attacking any single issue — from education to job training to drug treatment and mental health care. Those who advocate for alternatives to incarceration for nonviolent offenders, like Epperson and Brookes, say there’s evidence that proves placement into treatment facilities reduces the risk of recidivism. According to an internal study by Brookes’ organization, there was a 71 percent reduction in arrests for drug and property crimes two years after enrollment in the group’s various programs. Irwin said the commission could reach for “low-hanging fruit” by studying ways to reform mandatory minimums, laws that force judges to hand down uniform sentences for certain crimes. Such laws have been criticized as discriminatory against racial minorities and the poor and for being a key contributor to prison overcrowding. Educational opportunities in prisons is another area where advocates say the commission should focus its attention. Rebecca Ginsburg, who runs the Education Justice Project at the University of Illinois at Urbana-Champaign, said investing in internal prison education programs is key to reducing recidivism rates. According to Ginsburg, less than 50 percent of those released from Illinois prisons find employment within eight months of their release. Of those who participated in her group’s program, which offers college courses to inmates at the Danville Correctional Facility, 75 percent found employment within seven weeks. “We pay the cost for not investing in education,” she said.